For a show where you are never quite sure what style of music is going to come next, but can be confident that it will be performed with passion and style, Sing Sistah Sing! is one to look out for. Based around the idea of celebrating the sound of the African American female voice, it is a unique concept and one that mezzo Andrea Baker has very much made her own, both in the live show and the CD of the same name released in May. 'We're telling untold stories about African American female trailblazers', she says, 'with a focus on blues singer Linda Hopkins, who was the first African American singer to star in a one-woman show on Broadway.' Hopkins, who died last year at the age of 92, was a personal friend of Baker's, making the inclusion of her story all the more powerful. This is no song recital in the conventional sense. It weaves together the voices of women who led the way for artistic freedom as part of the civil rights movement. The show, which started life in a previous incarnation at the 2015 Fringe, is now more overtly theatrical, including being fully lit by designer-director Carolyn Sittig. 'It's storytelling, it's music, it's my own personal story, my history and my travelling in Scotland and how I came to make East Lothian my home,' says Baker. Assembly Rooms, 19–26 Aug, 5.55pm, £13 (£11). 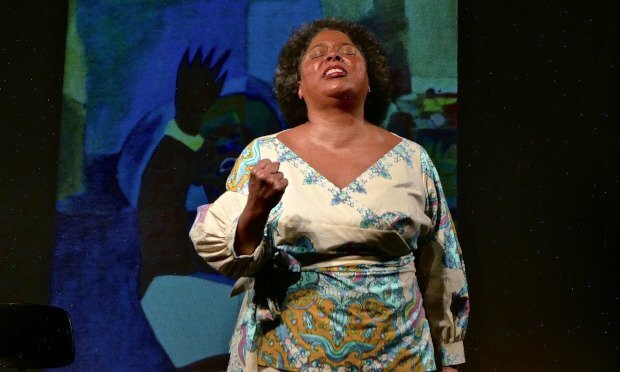 Celebrated mezzo-soprano Andrea Baker pays homage to the voice and history of African-American women artists throughout history, such as Leontyne Price, Marian Anderson, Donna Summer, Nina Simone and the great Billie Holiday, and their role in the civil rights movement to present day.